1. Draw a simple “cartoon” (outline) on the mosaic surface. You can copy a mosaic pattern from a coloring book or your favorite pattern of china or fabric. 2. 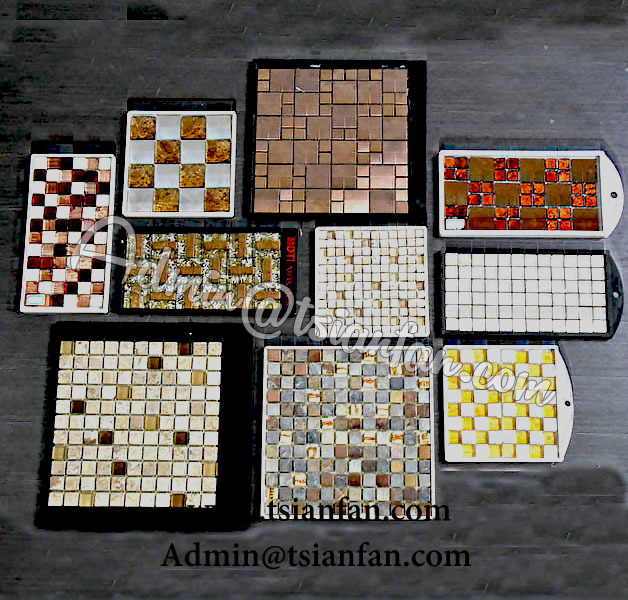 Decide what size mosaic tiles are most appropriate for the level of detail in the design (don’t use 1″ tiles to make details that are 1/2″). Lay a few tiles down just to make sure the colors look right together. 3. Glue the tiles to the surface one at a time. Make sure the gaps between the tiles are about 1/8 inch or less. 4. After the glue cures for 24 hours, grout the mosaic with regular tile grout. For more complicated designs, you can lay the project up on mesh, or you can pick up the tiles with clear contact paper. In either case, the next step would be to spread glue or cement on the surface and press the sheet of mosaic onto the glue or cement.